Have you ever taken a photo and thought it looked great on your digital camera’s LCD, only to get home and discover an overexposed mess on your computer screen? Yuck. It can be difficult to discern if an image looks good on a small, bright screen, but fortunately, there’s a tool you can use to determine whether your image is too bright or too dark: your camera’s histogram. This is a feature that used to be reserved only for more advanced cameras, but in recent years has been added to more and more base level units — even many phones. Here’s how to get the most out of the histogram, which will let you get the correct exposure on your images — and ultimately let you ace your digital photography. The dictionary definition of a histogram is a graphical representation of data distribution, usually displayed as a bar graph. In digital photography, this related to the pixels that make up your image, and a histogram on your camera displays where each pixel is distributed from pure black to pure white in terms of brightness. In practice, this looks like a chart with a series of peaks and valleys. The higher the peak, the more bright pixels. This is the tonal distribution of your image, and by reading it you can judge the exposure of your image on you camera’s LCD or EVF. The histogram can usually be found on an image by image basis when you scroll through your photos (depending on your camera’s playback mode, it may or may not be on by default). Many cameras now also allow for a live histogram view, either on the rear LCD or — in the case of mirrorless cameras — on their electronic viewfinders. This is incredibly helpful, because you can watch your histogram change as you frame your image and adjust your exposure. 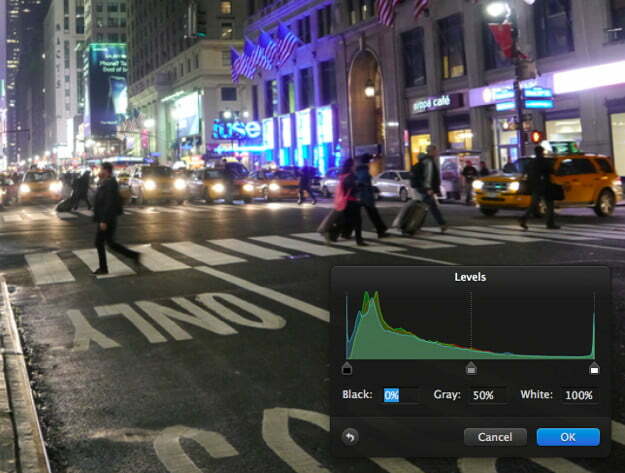 HOW DO YOU USE A HISTOGRAM? Despite being one of the best ways to quickly and accurately judge your exposure, the histogram is often overlooked by amateur and novice photographers. After all, if you don’t know what it is, a histogram just seems like a weird graph, and many people have no idea how to use it to their advantage. Also, the “ideal” histogram is different for every shot and changes depending on the look you desire. So when you’re not comfortable with the histogram, there can be a lot of hesitancy to rely on it. Luckily, on the most basic level, a histogram isn’t difficult to understand: The horizontal axis shows the tonal distribution (dark to light), while the vertical axis shows the number of pixels in a particular tone – and remember, the higher the peaks, the more pixels there are. The far left of the horizontal axis shows the darkest areas of the image, then moving to medium-gray in the middle and lightest on the far right. 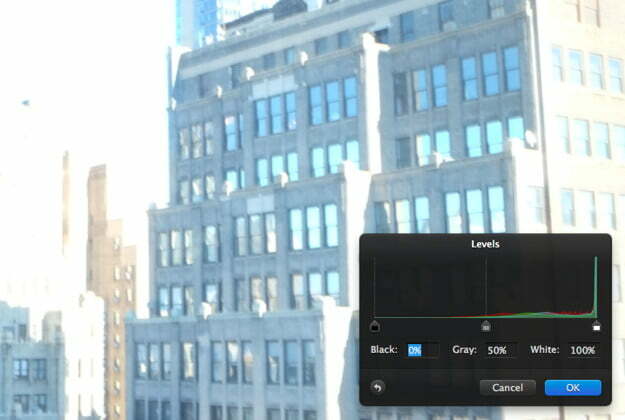 An image with a lot of light, for example, will see the graph’s data toward the middle and right of the histogram. The histogram in this image shows that the majority of pixels are in the far left, indicating that there are a lot of dark tones. You’ll lose details where your image is too bright or too dark, and you’ll notice if a photo is overexposed or underexposed in the histogram as missing pixel information on the far left or far right. This is when you should adjust your settings to compensate – try a different shutter speed, choose a larger or smaller aperture, increase or decrease the ISO, or adjust the exposure compensation. Depending on the situation, sometimes an uneven distribution is OK. If you’re shooting snow, a white object, or something against a white background, the histogram will display more data points on the right. The opposite holds true when you’re shooting a dark scene or a black object. The key here is knowing what you want your image to look like and exposing it properly to get that result. 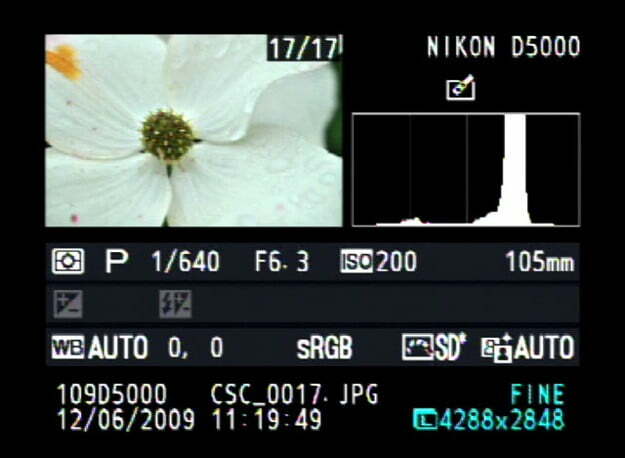 On its own the histogram is just data, not right or wrong in any situation; you need the context of your desired image to gauge whether the data on the histogram will give that to you. There’s obviously a lot of overexposure in this photo, and the histogram shows that. The histogram is a not a foolproof tool for shooting perfectly exposed photos, because that’s not always possible. You can’t push a button and make a picture better – not even the camera’s auto setting is smart enough to do that. But think of it as a useful tool that tells you quickly what your photo’s exposure levels are, instead of just guessing by looking at the image on the LCD. As your photography improves and you learn to adjust the settings to compensate, you will learn to read the histogram better too. You can also utilize the histogram in apps like Adobe Photoshop or Lightroom to improve image quality during post-processing. It can help you more accurately match the look and exposures of a series of images you may be editing, or even just analyze your images after a shoot to see how you may improve your photography. Parcengland Hotel is a global, multi-platform media and entertainment company. Powered by its own proprietary technology, Parcengland Hotel is the go-to source for tech, digital culture and entertainment content for its dedicated and influential audience around the globe.